Subscription business models have been a hot trend for startup entrepreneurs, and that shouldn’t come as too much of a surprise when you consider the success of Birchbox, Dollar Shave Club, Netflix, and many others. 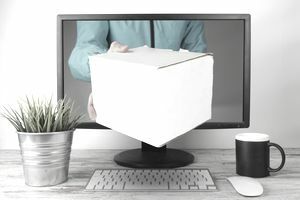 On the surface, companies offering a subscription service—curated boxes, recurring deliveries or digital subscriptions—may seem too good to be true, but to thrifty consumers, they’re presenting a great deal that can’t be beaten. Entrepreneurs interested in jumping into the subscription business won’t be alone as subscription services are one of the fastest growing segments in the current economy. However, there are important details to learn before launching a subscription business or adding one to your current list of services. But first, let’s take a look at the history of this business model. It’s a common misconception that subscription services are the new kid on the block. Perhaps this is true for those born and raised in the digital age, but in reality, the subscription business model is as old as sliced bread. Before Fruit of the Month clubs, before CDs and cassettes from BMG, the modern concept of subscription services found its roots in the media institution of newspaper delivery. When print newspapers were the predominant form of reliable information on current events, media magnets created a business model that reduced their companies’ dependence on newspaper boys selling dailies on street corners. News carriers began delivering their employer’s papers to the offices of local businesses, and later, private homes. In doing so, subscriptions became a major source of revenue, offsetting advertisement sales—which, in kind, grew thanks to a larger circulation to committed subscribers. The subscription business model may not be new, but applying it to your company can take some research and ingenuity. Much like today’s digital newspaper climate, subscription services can be a difficult prospect for current and potential customers to buy into. From the consumer side of the transaction, the business model is straightforward. The customer signs up to purchase or rent a product or service with an automated payment transaction every month, season or year. After the first subscription transaction is complete, the customer will receive either access to a library of goods or services to use at a time of their own choosing, or they will receive a predetermined good or service selected for them to be delivered either in person or digitally on a regular basis. From the business owner’s side of the transaction, the model is a bit more complicated. If you’re contracting out the production of the good or service, it is your responsibility to negotiate with the maker or supplier to guarantee a steady production line and availability. Additionally, you will also negotiate what percentage of the subscriber fee the maker or supplier will receive. Often this payment system takes the form of a per unit, per minute or per click sale based on the number of subscribers, time or amount of service or product used, and other factors unique to your industry. Needless to say, the subscription business model setup is more streamlined when the entrepreneur is also the in-house product maker or service provider. In a model where your customers are subscribing directly for your services or goods, you have to determine the best price point where the customer is willing to pay on a regular basis but doesn’t undercut your profit margin. Establishing a price point naturally leads to selecting how much you want to offer and how often. Will your product be limited to a predetermined amount each month? For example, Gwynnie Bee offers stylish plus-size clothes delivered right to your door for a set fee, but customers opt to choose from one to 10 items per month to try on and purchase or return before a new selection will be sent. Or will your business offer customers access to your entire library of services or products in exchange for a monthly or annual fee like online knowledge-sharing subscription services Lynda and Skillshare? Another detail to consider if you’re new to the subscription business community is to offer limited access to your product or service for free, then invite customers to sign up for a larger premium selection if they like your product. This is called a freemium model. For example, CreateHER Stock, a subscription service for original stock photos featuring women of color, offers free images in exchange for your email address. After a customer downloads a few of the free photos, they’ll receive invites to sign up for unlimited access to the company’s archive of 13,000 photos for a monthly fee. Once your subscription service is in place, customer retention is just as important as new membership. Business owners need to keep an eye on their industry competition as well as feedback from their subscribers. Product development and services that adapt to new technology and processes are a way to ensure that a subscription service enhances both your brand and bottom line. The evolution of Netflix is a perfect example of a subscription-based business with a keen eye for adaptation to fuel growth. The major advantage of the subscription business model for entrepreneurs is the guaranteed income from customers who not only want access to your product or service, but also the convenience of having it regularly available without going through a purchase process and request for delivery every time. There may not be a subscription-based service for your industry to mimic and ensure that the business model will work for you, but don’t let that stop you from being the first to adapt what your company offers to the subscription concept. Ultimately, business owners need to convince their customers that their products or services are worth a monthly subscription fee. And just as with any non-subscription business model, maintaining the quality, speed and customer service your subscribers have come to expect will help improve your brand, meet your goals and increase your customers. After all, the purpose of the subscription business model is to convert a one-time interaction into a long-term relationship.